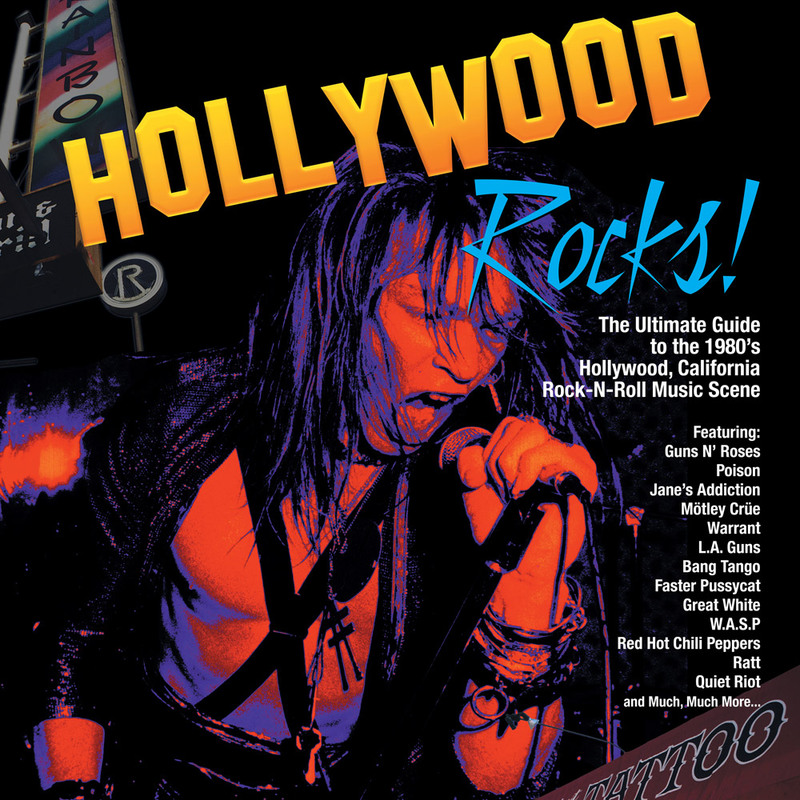 Hollywood Rocks is the definitive 200 page compendium of rare and exclusive archives documenting the bands of the ‘80s Sunset Strip scene in Hollywood – before they were signed! SKU: 1314. Category: Large Book. The Sunset Strip, home to such legendary venues as The Whiskey, The Roxy, The Viper Room and The Key Club (formerly Gazarri’s), first came to prominence in the early 1980’s when an army of spandex-clad pioneers emerged from the trashy gutters of downtown Hollywood. In an explosion of youthful exhuberance and truly fantastic performances, the Strip became the breeding ground for the now legendary Guns ‘N’ Roses, Motley Crue, Poison, Jane’s Addiction, Quiet Riot and a slew of others. It was a time of celebration, a non-stop party that raged out of the clubs, onto the sidewalks, and though it’s been nearly a decade since the height of its popularity, the legend of the Strip lives on in a new full-color photo album, featuring 200 pages of rare and exclusive photos, flyers and press releases from this pivotal era of metal. Whether you missed out on this spectacular epoch or your alcohol-soaked memories could use a little refreshing, Hollywood Rocks! is the most detailed, expansive photo document ever made on the ‘80s metal scene. See early press photos of Motley Crue or read an early press kit by the then unknown band Warrant; you’ll laugh, you’ll cry, you’ll wonder how anyone ever lived through it all as Hollywood Rocks! depicts the scene in all of its vivid debauchery! Rock on! Features glossy, full color reproductions of press releases, event flyers, concert and promotional photos of Guns ‘N’ Roses, Motley Crue, Poison, Jane’s Addiction, Quiet Riot and other legendary ‘80s metal bands! The legend of the Sunset Strip has only grown, still capturing the minds of a whole new generation of metal maniacs, and this time capsule will transport every reader back to days when it all started! Expect a massive promotional campaign with full page ads in Hit Parder, Metal Edge, Metal Maniacs, Revolver and all other classic metal magazines!